Over the years Thai food has become commonplace in our sunny little island, making it increasingly easy to find authentic Thai restaurants. Many of such eateries are popping up in the heartlands, making it accessible to families that live in the area. 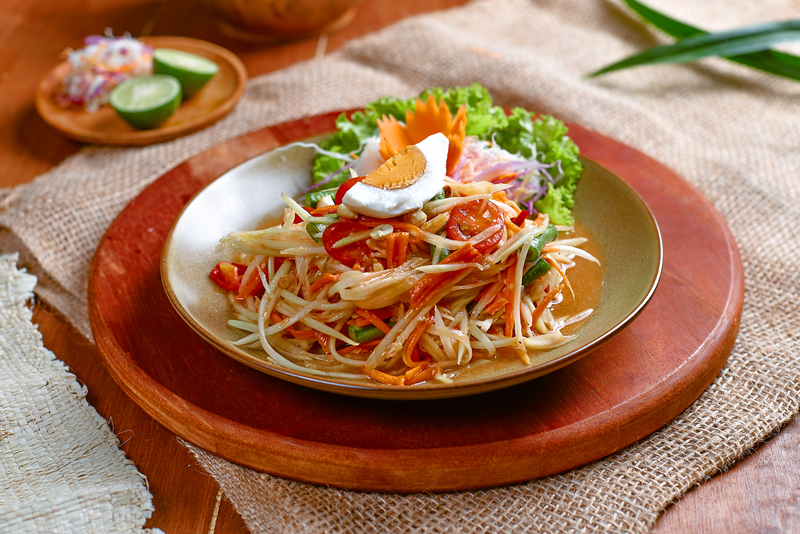 After all, like most other Asian cuisines, Thai food is best had when it is shared amongst a few loved ones. Recently, we stumbled across a cosy little restaurant named Ob Woon, located in the heart of Bedok, at Djitsun Mall. The restaurant was started by Chef Joel who helmed Rochor Thai for 5 years. Growing up, the 31-year-old had always noticed a lack of authentic Thai food in Singapore. This inspired the aspiring chef to ditch his spot at the National University of Singapore, and throw himself into the fast-paced restaurant scene in the Land of Smiles. He spent a year there, learning about the culture, the language and most importantly, the food. Having learnt from some of the best in the business, Chef Joel returned to our neck of the woods to set up his own spot. The industrious chef faced his fair share of ups-and-downs, including a couple of location issues, but he and his team have remained steadfast. Ob Woon has been open for a month now, and Chef Joel feels optimistic about its future. And he should. Ob Woon serves up some of the best Thai nosh we’ve had in Singapore, and is a great spot for families. Here are some of the dishes we particularly enjoyed. You’ll probably see this dish on the menu of every Thai restaurant you walk into. The most interesting thing about it is how different each restaurant’s version is. We’ve come to find that how a prawn cake turns out is quite telling of a restaurant’s quality. Ob Woon’s variation of the fritter is a little more crispy on the outside than others we’ve had. On the inside, the prawn cake is light, fluffy and flavourful. Ob Woon is located at Djitsun Mall, Bedok North Street 1, #01-07. For more info, visit their Facebook page here.